Mangaluru,Feb 10, 2017 : St Agnes College, Mangaluru has received ’College of Excellence’ status from the University Grant Commission (UGC). The college becomes the only educational institution under Mangalore University, third in the state and 18th college in India to receive this prestigious status. 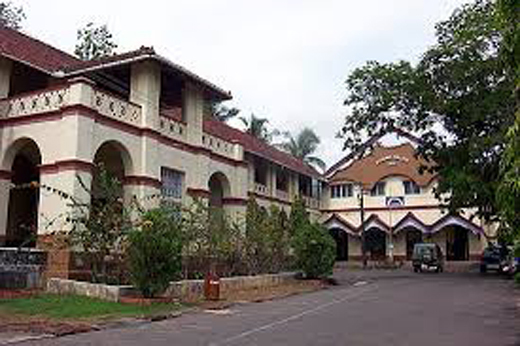 St Agnes College, Mangaluru is first Catholic Women’s College in the West Coast of India established in 1921 by Mother Aloysia. Under the new status, the college will receive Rs 2 crore funding to be spent over a five-year period for specific purposes from UGC, the apex governing body for universities. This the UGC declared the college as ’College of Excellence’ on February 8. She added that grants received from UGC will be utilised under four heads that include: Agnes Ignite Centre, Agnes Research Centre, Agnes Towards Community and Agnes Women’s Centre. tatus will help the college to upgrade its facilities like laboratory, equipment and help it organise seminar and workshops. "The new status aims at improving quality education at the institution level which includes both UG and PG courses," said Sr M Jeswina, principal of St Agnes College.